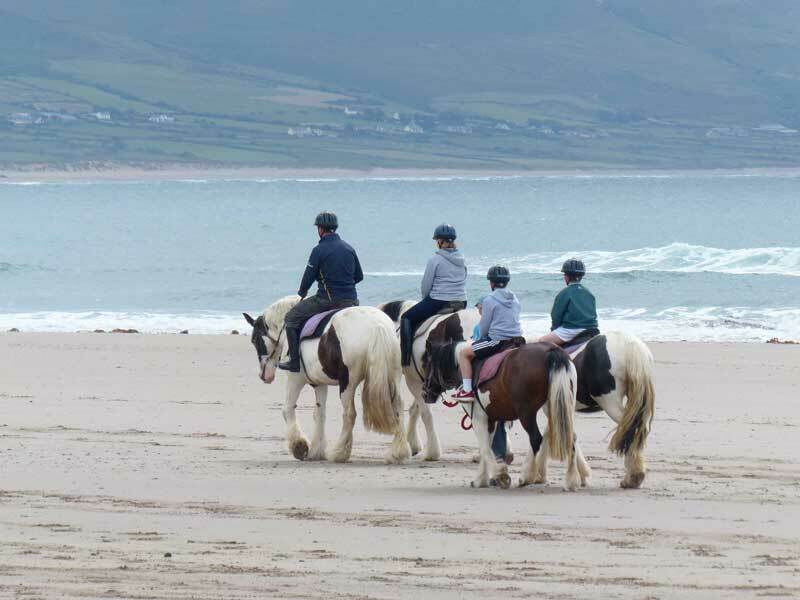 At O'Connor's Horse Riding Maharees on the scenic Wild Atlantic Way, we cater for all abilities - beginner, intermediate and advanced and have a number of beach riding options. Our operating times are 10am to 6pm. OPTION 1: Duration is one hour and riders head along the beach towards the golf course at Stradbally and back. Inexperienced children are led by lead rope along the ride. Helmets are provided but please bring suitable footwear e.g wellies. To make the experience as comfortable as possible, we match our horses to the riders ability and personal experience of the rider. OPTION 2: Duration is a two hour ride along the back beach of Tralee Bay and Anchor Caravan Park and back along Brandon Bay. We have a mixture of small and large horses which are quiet, well behaved and perfect for children. This family run business offers a personal service with small groups catered for which makes the whole experience one to remember. There is also the option of a two hour evening ride for experienced riders only from 7pm to 9pm.